hi battery backup superb. music with handsfree superb i have nokia x3 handsfree bass and table sounds r superb amazing sound clarity. the thing is we can minimize applictions we cannot open another at the same time wt i mean its not multi tasking but minimize options is there it is really irritating while listening music we cannot brwose the song will pause then only we can. big disadwantage. overall kkkk. i posted my mail id previously send me mail any queries u need. hi frnds its not a 3G phone i downloded some applications all r working fine with the handset. especilly in this handset nibuss its not working fine insted of that i have new application that is JGC TALK(Gtalk,ymail,other) its working fine. then KD PLAYER ALSO working fine. mig33 chat applications its superb working. regarding camara its not that much effective. then gengamail superb appliction its working great. if u want any info i will back again, if u want any other info send a mail to me. Q 75 3G enblad or not? 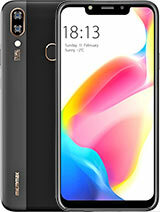 Can anyone tell me why the phone is not supporting .mp4 video files...... the error which comes is "Failed to open file"
Please someone give reply whether this phone has keypad lights. Because, in other reviews people are telling it has no keypad lights. 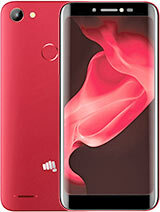 is there any chance to change THEMES in micromax Q75 mobile.....???? If anyone knows this means please send it to the to the following E-MAIL ADDRESS "nathan807@rediff.com" and also HOW TO CONNECT INTERNET IN MY MOBILE??? 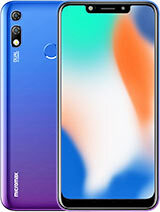 if anybody knows how to connect internet in mobile Micromax Q75, please let me know how to connect? 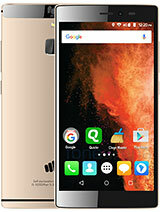 i recently purchased Micromax Q75 mobile. it looks good. but the CAMERA is so poor. it is not a 3.2 MP. it has only a VGA camera. quality of the picture is so poor. all the other feature are some what good to say.it supports Opera5, dictionary, and other jave appluication. speed of the system may be slightly improved. 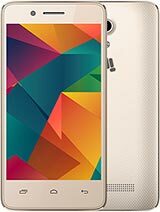 LET ME KNOW HOW TO CONNECT INTERNET IN MOBILE MICROMAX Q75..???????? joy, 10 Nov 2010hello, i've just purchased this phone and did everything possible to play youtube videos. my ... moreIF you want to play youtube videos install Bolt browser, opera mini will not play youtube videos. aman, 06 Nov 2010hi guys, 1)harold, What i know keypad doesnt have any light system.If its there let somebody ... moreHi Aman!!! Help me in making the personalized PlayList...! for eg: Let say, I wanted to have only few selected songs in my personal Play List!!! How can I do that!!!? gopal, 11 Nov 2010Hi frnd... pls tell me how to add songs in my audio player... i hav lots of songs i... moreHi Gopal!!! open Music Player -> Options -> Settings -> Player Settings -> Pre.playlist ... Select the Memory Card there. Now go back to the Options and Select the 9.Refresh list. It will process and bring all the songs that were exist in your Memory Card. Hope this resolves your issue. I have also got this phone 2 days back. Please let me know, if you can select the songs you wish to add in to your own playlist.!!! gopal, 11 Nov 2010Hi frnd... pls tell me how to add songs in my audio player... i hav lots of songs i... moreHei..
u r great otherwise nobody is telling me exactly what should i do. thanks again. Simon, 10 Nov 2010Dudes! can any1 temme how to play the song in the musicplayer with lyrics its gotta an option... moreMove all your music to My Music Folder and open Music player, then go to settings and click on Refresh List. Everything will be loaded automatically.